Today was 26th day of Liberty residents’ hunger strike. In last few days in addition to headaches and vertigo and weaknesses, there have been 4 cases of heart pains. Also today 6 people were taken to Iraqi doctors at the camp’s clinic for vision problems. 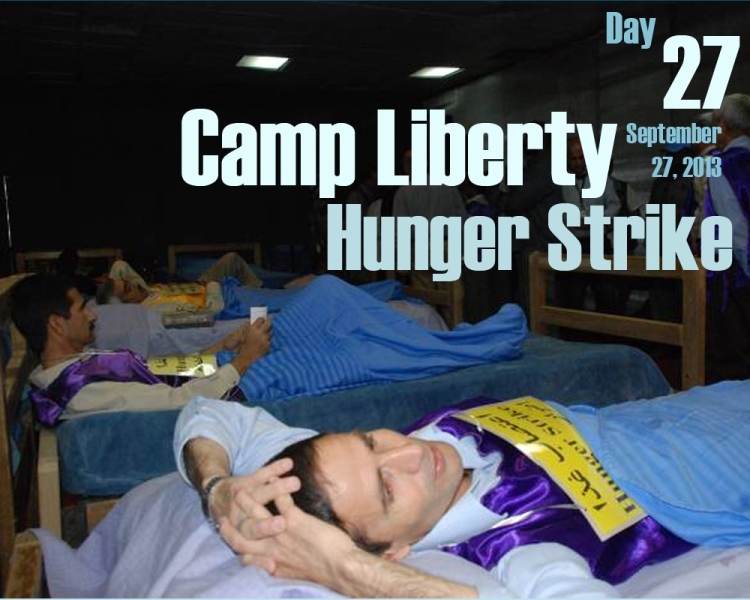 It is worth noting that so far 200 of the hunger strikers have referred to camp’s clinic. The father of one of the September 1 massacre victims said, “My son who was only 28 was killed in Ashraf. His mother and his uncles were already killed by the Iranian regime… We prefer to lose our life in hunger strike rather than be killed handcuffed and shot in the head in Liberty by Maliki’s forces”.